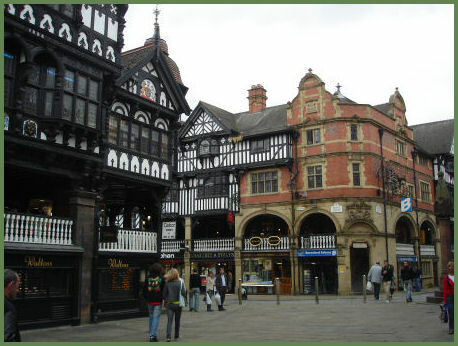 The Rows at Chester are a unique series of two tired and mostly black and white half-timbered buildings joined with long galleries used as shopping arcades. They consist of covered walkways at the first floor behind which are entrances to shops while at street level is another set of shops and other premises. Rows were built in the four main streets leading out from Chester Cross. The Rows combine an eclectic mixture of Medieval, Georgian and Victorian architecture. The first written record of the Rows appears in 1293. There is evidence to suggest that they may have been constructed on top of rubble remaining from the ruins of Roman buildings, but their origin is still subject to speculation. At the level of the Rows very little medieval fabric remains. Many of the buildings containing portions of the Rows are listed. 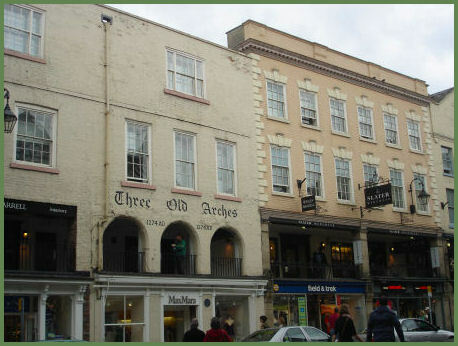 The Three Old Arches in Bridge Street is purported to be the oldest surviving shop frontage in Britain. Parts of the building date back as far as 1274. The arches at Row level are some of the earliest structures in the Rows. There are several complexes of buildings, the best examples standing at Watergate, Eastgate and Bridge Street. There is archaeological and architectural evidence to suggest that the Rows developed between the mid thirteenth and mid fourteenth centuries. There were shops or warehouses at street level, with a long gallery above, reached by steps from the street level. Cowper House dates back to 1664, it was constructed above undercrofts of six bays built in sandstone rubble, dating from 1350-75, or possibly earlier. 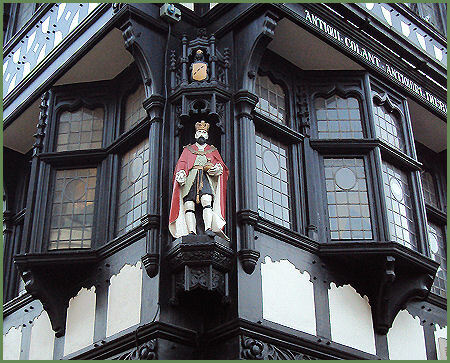 Thomas Cowper had been mayor of Chester in 1641-42 and a Royalist supporter in the Civil War. Leche House is considered to be the best preserved medieval town house in Chester and is located at 17 Watergate Street. The house was built in the seventeenth century for Alderman John Leche of Mollington. The story of Chester's Rows is told in detail in a special exhibit entitled "Our House - The Story of the Rows of Chester". The exhibit is housed at the Chester Visitor Centre on Vicar's Lane. About 20 stone undercrofts still exist on the Chester Rows, some of them vaulted, and dating from the thirteenth or early fourteenth century. One of the finest of these is that at Cowper House at No. 12 Bridge Street, which boasts an undercroft of six bays built in sandstone rubble. From the front part of the shop floor level six steps lead down through a mid nineteenth century Gothic revival stone screen to the medieval undercroft. The fifth bay has a very unusual doorway leading to the stairs within the thickness of the party wall, which rise to the Row floor above. The undercroft at Cowper House is the only one in Chester where the lie of the land permitted a window to be situated in the rear wall. Five stone vaulted undercrofts have survived in the Chester Rows, the others being at 28 Eastgate Street (Brown's Crypt), 11 Watergate Street (Watergate's Wine Bar) and numbers 21 and 37, Watergate Street. There are also lesser vaults over small spaces at the rear of the sixth undercroft. 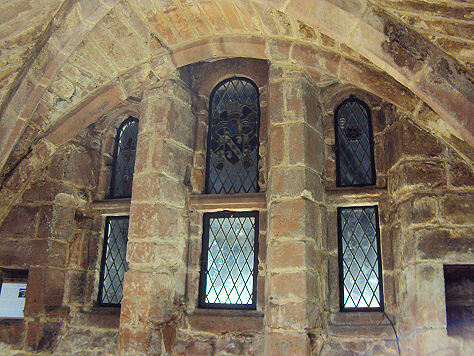 Brown's Crypt dates from around 1290 and was almost certainly the cellar or undercroft to a wealthy merchant's shop and town house. 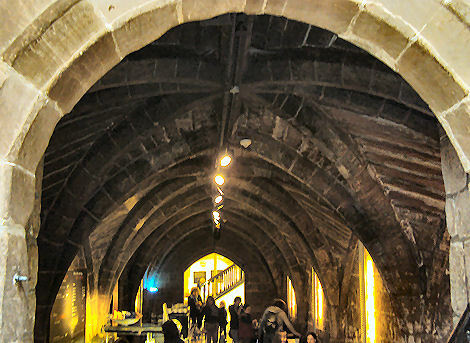 In 1858, the first recorded usage of the Crypt occured when Browns of Chester allowed a wine merchant to use the cellars and crypt, it is now used as a cafe. 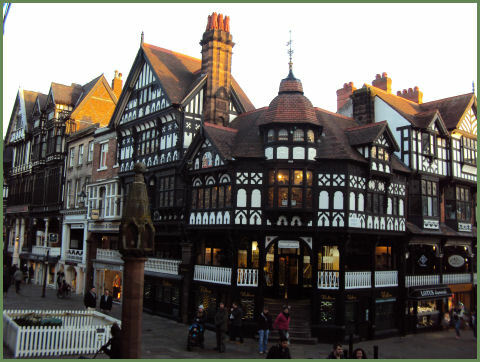 Although these are only a small proportion of the medieval undercrofts in Chester, they nevertheless provide evidence of some very prestigious town houses, as well as an early appreciation of the benefits of the commercial benefits of fireproof warehouses.